Ora Ito is responsible for the architectural and interior design of the new Yooma hotel concept with the complicity of Daniel Buren. Located on the Front de Seine with the Eiffel Tower very close by, the building, designed by Ora Ito and permeated by Daniel Buren, summarises the unique setting provided by this Parisian district with its twenty or so towers, typical of the seventies, extending over a paved area. A cinegenic landscape of aluminium and concrete (Wim Wenders, Henri Verneuil, Michel Gondry and Claude Lelouch filmed here), primary materials that the two creators have embraced in reconstructing this former office building at the invitation of Pierre Beckrich, the instigator of Yooma and a great admirer of Le Corbusier’s vision. Cité Radieuse designed like a vertical village is the link between the instigator/promoter and the designer. Yooma just like huma-nity, a neologism that summarises the hotel’s concept for communal living with a family-oriented and user-friendly response to Airbnb. Ora Ito has added a floor to the existing structure and all one hundred and six rooms levitate over a fully glazed lobby. 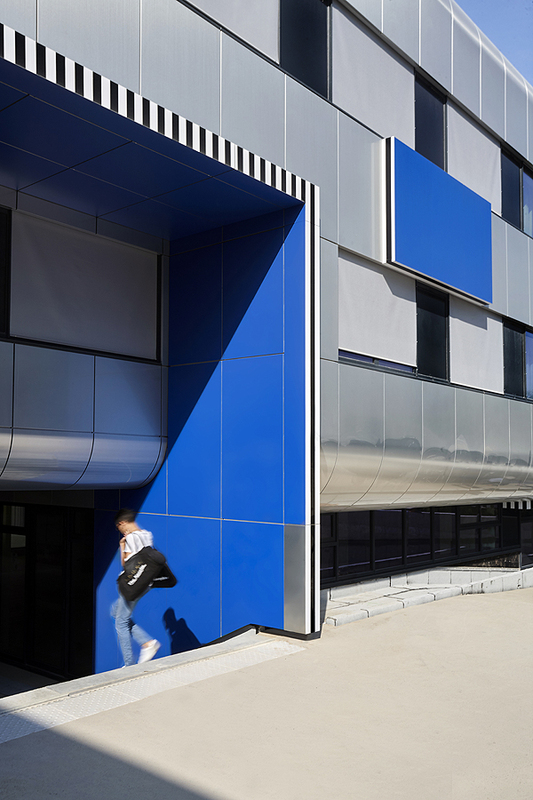 Timeless aluminium adds shape to and sheaths the building for it to blend harmoniously with the surroundings. Like something out of Transformers, this architecture, inspired by neighbouring structures, is ready to come to life and stretch its softly curved metal limbs. 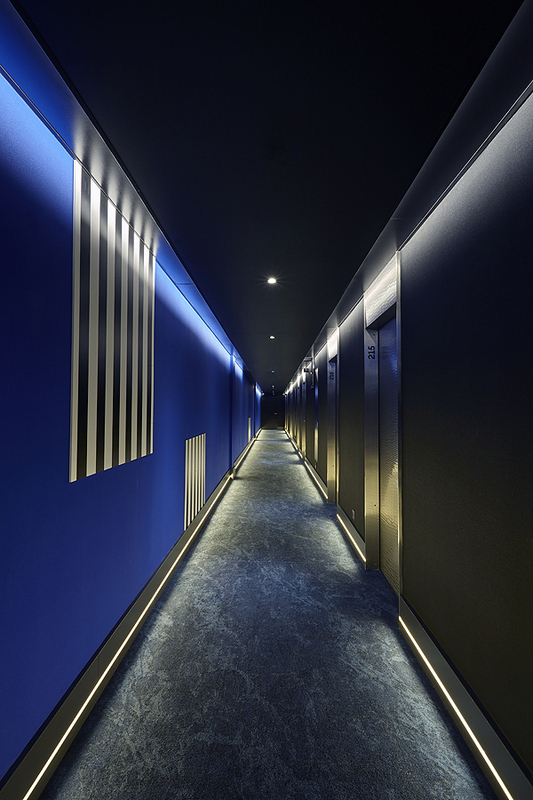 Daniel Buren has projected a deep blue throughout the hotel following a specific framework. This injection of colour structures the building. Graphic brilliance lends rhythm to the lobby and corridors before demarcating the façade. 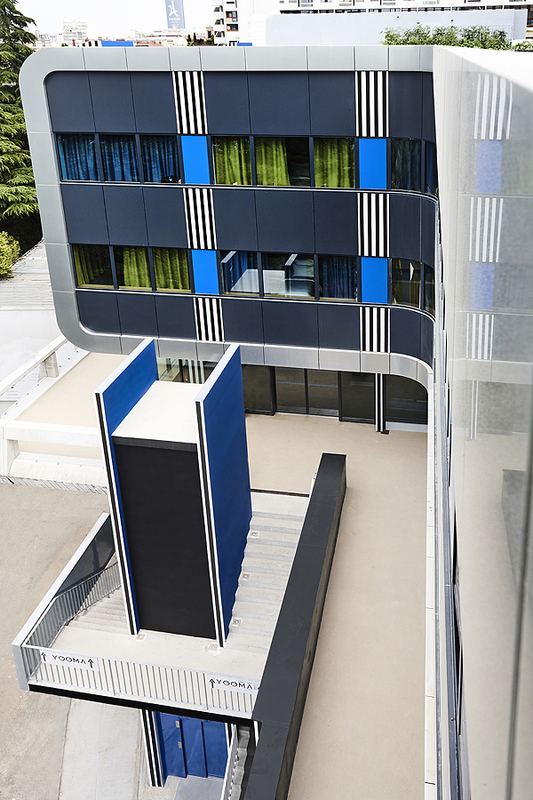 Daniel Buren carves out the façade’s empty and full volumes with the blue colour and the iconic black and white stripes, providing the artist’s greatest permanent intervention in Paris since Palais-Royal. 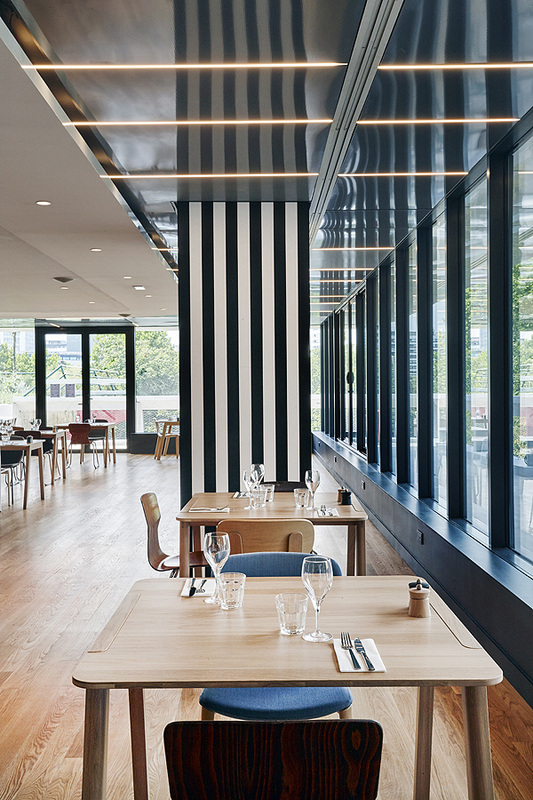 With Yooma, Daniel Buren and Ora Ito have invented a vibrant architecture like the still frame of a transformation: the explosive renovation of the Front de Seine that began in 2005 will be complete when Yooma opens in 2017. Each creator expresses themselves in equal measure in this meaningful dialogue between art and architecture. The bedrooms designed by Ora Ito respond to space, privacy and user-friendly requirements in this hotel for couples, families or groups of friends, at the best possible price. The designer offers a visual and sensual journey towards privacy in several stages. Exposed concrete guides the guests in the entrances and corridors to the rooms, like an architectural extension of the exterior. 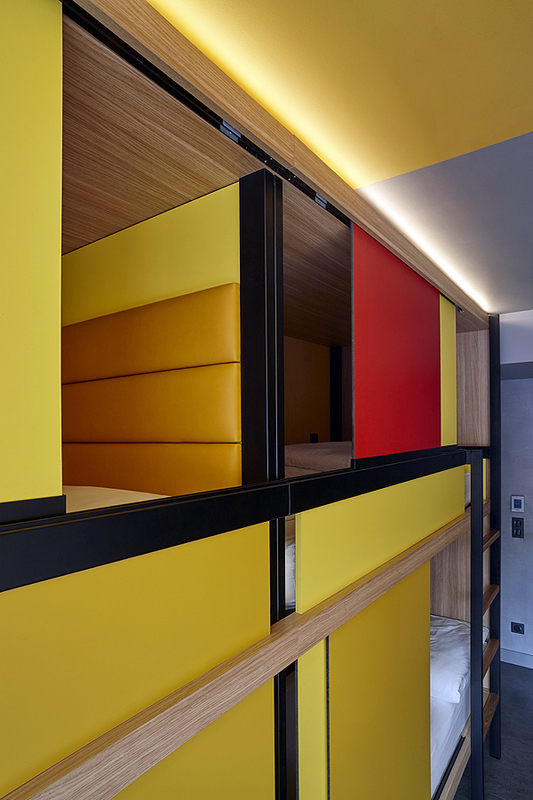 Once in the rooms, solid colours such as red, green, blue and yellow welcome visitors to the communal living area. This culminates in an ultimate degree of privacy: pods envisaged by the designer have wood-panelled ceilings like welcoming little cabins. These pods are mini-structures on a mezzanine that can be closed using sliding wall systems. Each one has a storage shelf, a lamp, two USB sockets and a traditional electric socket. They are connected yet private. Aficionados will recognise the spirit of Mondrian in the graphics, Charlotte Perriand’s functional precision and Ora Ito’s subtle and rational simple design features. From a small bottle of perfume for Guerlain to the fairing of the Nice tramway, Ora Ïto imprints his signature futuristic vision on projects small and large. In 2013, he created the MAMO, a center for the arts on the roof-terrace of the mythical Cité Radieuse designed by Le Corbusier in Marseille. 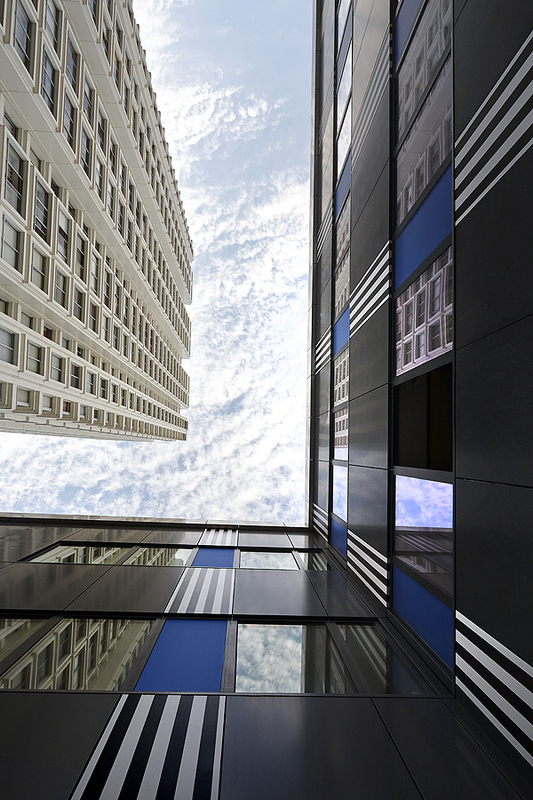 A space in the sky, historic and contemporary, with a 360° view that sums up his pas- sion for levitation and lightness. “Defying the laws of gravity creates sensations that go beyond aesthetics.” In this lo- cation he exhibits the greatest contemporary artists, from Xavier Veilhan to Jean-Pierre Raynaud. In 2016, five iconic pieces of his work came into the permanent collection of the Centre Pompidou. A lover of contemporary art, he works in the tradition of Le Corbusier whom he greatly admires, always trying to purify his drawing to the maximum. Known all over the world, the work of Daniel Buren, born in the Hauts de Seine in 1938, has made him the contemporary French artist who is both the most controversial and the most famous of our time. Through his installations in public areas, galleries or museums, he always offers viewers an opportunity to rediscover a place in a different way. His way. This “in situ” creator (he originated the use of this term in art) has been called upon for the greatest projects, from the Venice Biennale, where he won the Golden Lion in 1986 for the French Pavilion, to the Monumenta exhibition at the Grand Palais in Paris in 2012. Buren was attracted by Yooma’s concept and so became involved for the first time with a work of this magnitude in a hospitality project. 106 rooms and a capacity to welcome 434 guests. 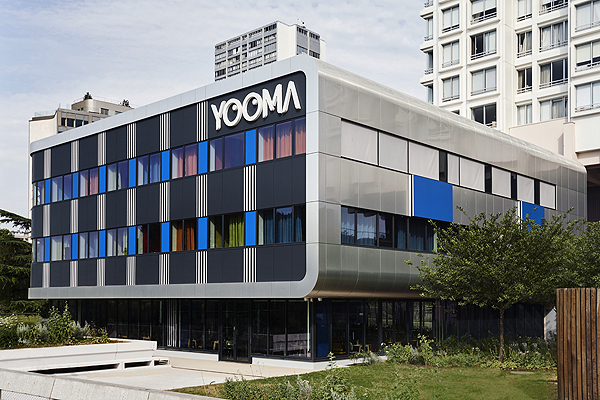 At Yooma, 80% of the areas are equipped to host 4 to 6 people. This is an innovation in the capital. Although we haven’t forgotten young couples in love, with 30 double rooms available. Whether for solo or duo travelers, families or groups of friends, each room is equipped with free TV and high speed wifi. Each room has a bathroom with a rain- shower. The bedding is luxury hotel quality, the pillow- cases are embroidered. High-end hospitality for beautiful nights.